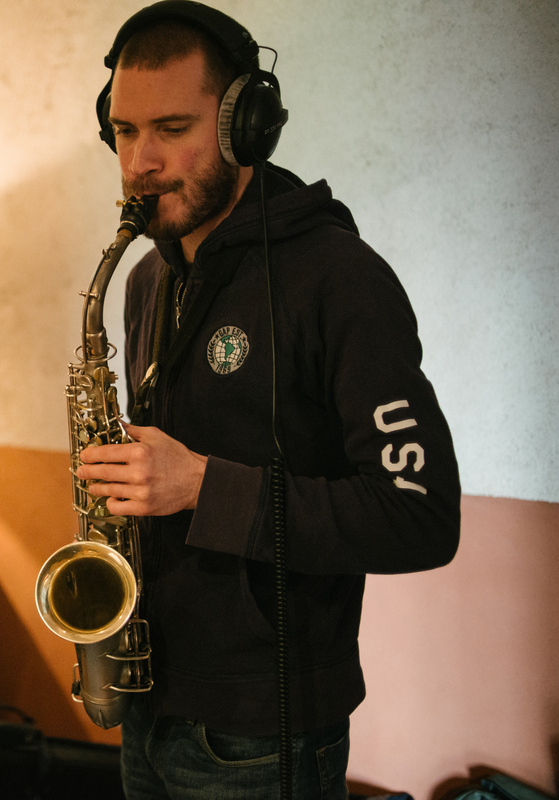 Elie Dalibert is an alto saxophonist who studied in Nantes, France. He is now freshly based in Philadelphia (USA). He recorded four internationally acclaimed albums with this trio and performed collaborations with bassist Meshell N’Dgeocello, sax-ophonist Émile Parisien, guitarist Hasse Poulsen and trombonist Gianluca Petrella. Elie also plays in a bunch of projects with France based musicians like Will Guthrie, Joachim Florent, Nelson Veras, Florian Chaigne, Julien Vinçonneau, Gweltaz Hervé, François Badeau… He is mem-ber of the 1name4acrew collective. In USA, he starts collaborations with philadelphian improvisers like Jack Wright, Alban Bailly and Flandrew Fleisenberg.